Harrow School /ˈhæroʊ/ is an independent boarding school for boys in Harrow, London, England. The School was founded in 1572 by John Lyon under a Royal Charter of Elizabeth I, and is one of the original seven public schools that were regulated by the Public Schools Act 1868. Harrow charges up to £12,850 per term, with three terms per academic year (2017/18). Harrow is the fourth most expensive boarding school in the Headmasters' and Headmistresses' Conference. The school has an enrolment of 829 boys all of whom board full-time, in twelve boarding houses. It remains one of four all-boys, full-boarding schools in Britain, the others being Eton, Radley and Winchester. Shrewsbury, Charterhouse, Rugby and Westminster have since become co-educational. Harrow's uniform includes straw hats, morning suits, top hats and canes. Its alumni include eight former British or Indian Prime Ministers (including Peel, Palmerston, Baldwin, Churchill and Nehru), foreign politicians, former and current members of both houses of the U.K. Parliament, five kings and several other members of various royal families, three Nobel Prize winners, twenty Victoria Cross and one George Cross holders, and many figures in the arts and sciences. The school was founded in February 1572 under a Royal Charter granted by Queen Elizabeth I to John Lyon, a wealthy local farmer. The Charter described this as a re-endowment, and there is some evidence of a grammar school at Harrow in the mid-16th century, but its location and connection with Lyon's foundation are unclear. Evidence for earlier schools, possibly connected with the chantry of St Mary (established in 1324), is weak. In the original charter, six governors were named, including two members of the Gerard family of Flambards, and two members of the Page family of Wembley and Sudbury Court. Lyon died in 1592, leaving his assets to two causes: the lesser was the School, and by far the greater beneficiary was the maintenance of a road to London, 10 miles (16 km) away. The school owned and maintained this road for many years following Lyon's death, and the whole school still runs along this 10-mile road in an event called "Long Ducker" every November, whilst some 6th formers opt to do 20 miles – to and from the Albert Memorial in London. It was only after the death of Lyon's wife in 1608 that the construction of the first school building began. It was completed in 1615 and remains to this day, however it is now much larger. At first the primary subject taught was Latin, and the only sport was archery. Both subjects were compulsory; archery was dropped in 1771. Although most boys were taught for free, their tuition paid for by Lyon's endowment, there were a number of fee-paying "foreigners" (boys from outside the parish). It was their presence that amplified the need for boarding facilities. By 1701 for every local there were two "foreign" pupils; these generated funds for the School as fees increased. By 1876 the ratio was so high that John Lyon Lower School was brought under the authority of the governors of the Upper School so that the School complied with its object of providing education for the boys of the parish. It is now known as The John Lyon School and is a prominent independent school. It maintains close links with Harrow. The majority of the school's boarding houses were constructed in Victorian times, when the number of boys increased dramatically. Between 1872 and 1877, a Speech Room was constructed to the designs of William Burges. The structure is a Grade II* listed building. The school war memorial, designed by Sir Robert Lorimer, was erected in 1917, marking the already substantial loss of former pupils by that stage of the First World War. The 20th century saw the innovation of a central dining hall, the demolition of small houses and further modernisation of the curriculum. Currently there are about 850 boys boarding at Harrow. In 2005, the school was one of fifty of the country's leading independent schools which were found guilty of running an illegal price-fixing cartel, exposed by The Times, which had allowed them to drive up fees for thousands of parents, although the schools said that they had not realised that the change to the law (which had happened only a few months earlier) about the sharing of information had subsequently made it an offence. Each school was required to pay a nominal penalty of £10,000 and all agreed to make ex-gratia payments totalling £3,000,000 into a trust designed to benefit pupils who attended the schools during the period in respect of which fee information was shared. Jean Scott, the head of the Independent Schools Council, said that independent schools had always been exempt from anti-cartel rules applied to business, were following a long-established procedure in sharing the information with each other, and that they were unaware of the change to the law (on which they had not been consulted). Harrow has expanded overseas, opening additional schools in Beijing, China (Harrow International School Beijing); Shanghai, China (Harrow International School Shanghai), Bangkok, Thailand (Harrow International School, Bangkok); and New Territories, Hong Kong (Harrow International School Hong Kong). Boys at Harrow have two uniforms. Everyday dress, worn to most lessons, consists of a white shirt, black polyester tie, light grey trousers known as "greyers", black shoes, an optional blue jumper (sweater), a dark blue woollen uniform jacket known as a "bluer", the option of the School blue and white scarf and dark blue woollen overcoat similar to the bluer on cold days and the Harrow Hat, often erroneously called a boater, made of varnished straw with a dark blue band. Variations include boys who are monitors who are allowed to wear a jumper of their choice, and members of certain societies who may earn the right to replace the standard school tie with one of a variety of scarves, cravats, neck and bow ties. Sunday dress, which is worn every Sunday up to lunch and on special occasions such as Speech Day and songs, consists of black tailcoats, morning trousers, a white shirt, a black tie, and a black single breasted waistcoat. Boys with sports colours may wear a grey double breasted waistcoat; members of the Guild may wear maroon double breasted waistcoats with maroon bowties; members of the Philathletic Club may wear black bowties alongside grey double breasted waistcoats; school monitors may wear black double breasted waistcoats, a top hat and carry canes. The Harrow uniform achieved fame in the mid-20th century when a 1937 photograph of two Harrovians in formal dress wear being watched by three working class boys was taken outside Lord's Cricket Ground. The photograph was placed on the front cover of the News Chronicle (now absorbed into the Daily Mail) the next morning under the tagline "Every picture tells a story". The picture was soon reproduced in other national publications and became, and remains, one of the most popular symbols of the class divide in the United Kingdom. Harrow has been instrumental in the development of a number of sports. The sport squash (originally called 'Squasher') was invented in Harrow out of the game rackets around 1830. It spread to other schools and eventually becoming an international sport. An annual cricket match has taken place between Harrow and Eton College at Lord's Cricket Ground since 1805. It is considered to be the longest-running cricket fixture in the world and is the oldest fixture at Lord's (see: Eton v Harrow). Eton won the match in 2013, and Harrow in 2014 and 2015. 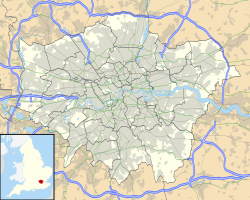 Harrow has its own unique style of football called Harrow Football, which was pivotal in the formation of association football as it is known today. Harrow School divides its pupils, who are all boarders, into twelve Houses, each of about seventy boys, with a thirteenth house, Gayton, used as an overflow. Each House has its own facilities, customs and traditions, and each competes in sporting events against the others. Until the 1950s there existed what were known as 'small houses' where only 5–10 boys stayed at one time while they waited for a space in a large house to become available (hence the use of the term large house in this article). A twelfth large house, Lyon's, was built in 2010. House Masters, Deputy House Masters and their families live in the boarding Houses and are assisted by House Tutors appointed from the teaching staff. Every House has a residential House Tutor, who may or may not also be the Deputy House Master. The House Master oversees the welfare of every boy in his care; for parents he is the main point of contact with the School. Each House has a resident matron, and sick room. The matrons are supported by the School's Medical Centre where trained nursing staff offer round the clock care. The medical centre is under the direct supervision of the school doctor who is available on the Hill every day for consultation. There are no dormitories: a boy shares his room for the first three to six terms and thereafter has a room to himself. Harrow was featured in a Sky 1 documentary series entitled Harrow: A Very British School in 2013. In February 2016, the actor Laurence Fox claimed Harrow threatened legal action to prevent him discussing the racism, homophobia and bullying he allegedly encountered as a pupil at the school. Harrow alumni are known as Old Harrovians, they include seven former British Prime Ministers including Winston Churchill and Robert Peel and the first Prime Minister of India, Jawaharlal Nehru. Twenty Old Harrovians have been awarded the Victoria Cross and one the George Cross. The School has educated five monarchs: King Hussein of Jordan, both Kings of Iraq, Ghazi I and his son Faisal II, the current Emir of Qatar Sheikh Tamim bin Hamad Al Thani and Ali bin Hamud of Zanzibar. Other alumni include writers Lord Byron, Sir Terence Rattigan, Simon Sebag-Montefiore, and Richard Curtis, the 6th Duke of Westminster and the prominent reformist Lord Shaftesbury and business people (including DeBeers chairman Nicky Oppenheimer, Pret a Manger founder Julian Metcalfe) and the big game hunter and artist General Douglas Hamilton, as well as Island Records founder Chris Blackwell. In sports, the school produced the first two Wimbledon champions (Spencer Gore and Frank Hadow) as well as FA Cup founder C.W. Alcock and current England rugby international players Billy Vunipola and Maro Itoje. Alumni in the arts and media industry include actors Benedict Cumberbatch and Cary Elwes, photogtapher Count Nikolai von Bismarck, singer James Blunt and horse racing pundit John McCririck. Margaret Thatcher sent her son, Mark, to Harrow. Fictional characters who have attented Harrow include Brett Sinclair of The Persuaders!, and Mr. Pocket from Charles Dickens's book, Great Expectations. MC Nokes MC (1897–1986) : soldier, airman, Olympic medallist and nuclear scientist; a chemistry master at Harrow from 1946 to 1957, latterly a house master and also Head of Science. Roger Uttley (born 1949): retired England Rugby Captain and British Lions Rugby Player (1974 tour), former head of physical education and 1st XV coach. ^ "Harrow school threatens to drop A-levels". The Guardian. London. 31 October 2006. Retrieved 22 July 2010. ^ a b c d e f "Houses". Harrow School. Archived from the original on 13 February 2010. Retrieved 10 October 2009. ^ a b Cockburn, J. S.; King, H. P. F.; McDonnell, K. G. T., eds. (1969). "Schools: Harrow School". A History of the County of Middlesex: Volume 1, Physique, Archaeology, Domesday, Ecclesiastical Organization, the Jews, Religious Houses, Education of Working Classes To 1870, Private Education From Sixteenth Century. London: Victoria County History. pp. 299–302 – via British History Online. ^ Tyerman, Christopher (2000). A History of Harrow School. Oxford University Press. pp. 8–11. ISBN 0-19-822796-5. ^ Tylerman (2000), pp. 13–17. ^ Harrow School. Edward Arnold, London. Retrieved 5 December 2009. ^ "Archery, Romance and Elite Culture in England and Wales, c. 1780-1840". ^ Tyerman, Christopher (2000). A history of Harrow School. Oxford University Press. ISBN 0-19-822796-5. ^ Historic England (9 July 1968). "SPEECH ROOM (HARROW SCHOOL), Harrow (1193321)". National Heritage List for England. Retrieved 17 September 2017. ^ "Inspection Report on Harrow School". Reports. Independent Schools Inspectorate. October 2006. Archived from the original on 20 March 2008. Retrieved 11 January 2008. ^ Halpin, Tony (10 November 2005). "Independent schools face huge fines over cartel to fix fees". The Times. London. Retrieved 4 May 2010. ^ "OFT names further trustees as part of the independent schools settlement". Office of Fair Trading (archived on nationalarchives.org.uk). 21 December 2006. Archived from the original on 2 April 2014. ^ "Private schools send papers to fee-fixing inquiry". The Daily Telegraph. London. 3 January 2004. Retrieved 15 March 2010. ^ "Harrow International School, (Beijing)". Harrow Beijing. Retrieved 9 October 2009. ^ "Harrow Terminology". Tradition. Harrow School. Archived from the original on 13 February 2010. Retrieved 9 October 2009. ^ Jack, Ian (23 March 2010). "The photograph that defined the class divide". The Guardian. London. Retrieved 4 May 2010. ^ "History of squash". squashplayer.co.uk. Retrieved 5 June 2010. ^ "History". worldsquash.org.uk. Archived from the original on 10 November 2010. Retrieved 5 June 2010. ^ "History of squash". talksquash.co.uk. Retrieved 5 June 2010. ^ "The oldest fixture of them all". cricinfo.com. Retrieved 5 June 2010. ^ "Harrow Football: The Game". Tradition. Harrow School. Archived from the original on 17 February 2010. Retrieved 9 October 2009. ^ Leon Watson (23 February 2016). "Laurence Fox: Harrow tried to silence me over racism, homophobia and bullying". Daily Telegraph. Retrieved 23 February 2016. ^ "History of the School". Harrow School. Archived from the original on 20 September 2008. Retrieved 10 October 2009. Wikisource has the text of a 1911 Encyclopædia Britannica article about Harrow School. "Harrow" . The New Student's Reference Work . 1914.